AccorHotels, world leading travel & lifestyle group, today announced the extensive conversion and rebranding of a former Sheikh Zayed Road landmark into the Mercure Dubai Barsha Heights Hotel Suites & Apartments. The property is currently undergoing the first of a two-phase comprehensive refurbishment and is anticipated to open under the Mercure brand on 19 May 2017. One hundred and twenty hotel rooms will be renovated, as part of the first phase, to fit Mercure brand dimensions by blending classic design with a modern and contemporary aesthetic. The second phase of renovations will focus on enhancing additional guestrooms and facilities to meet AccorHotels’ international standards and will elevate the hotel from a four star ranking into five stars in the form of hotel suites. As a premium product, the apartments will be refreshed and re-introduced to the market. The renovation and refurbishment is anticipated for completion by the end of 2018. 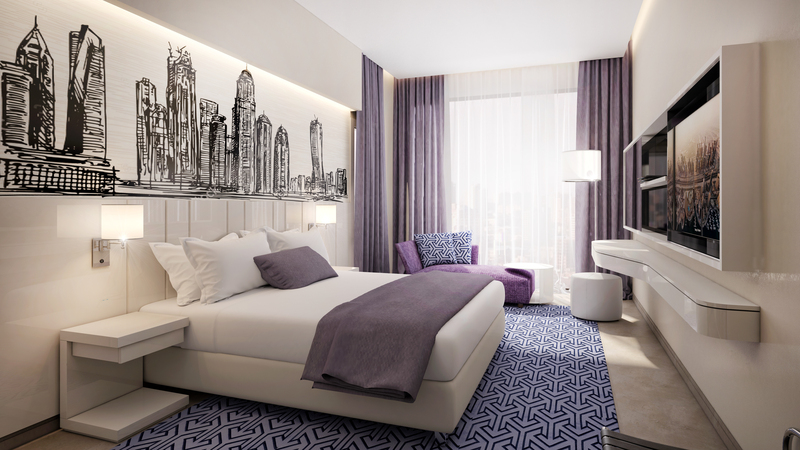 Upon opening, the 1,015 room hotel will be the largest Mercure property in AccorHotels’ global portfolio. The Mercure Dubai Barsha Heights Hotel Suites & Apartments is located on Sheikh Zayed Road, enjoying close proximity to major business and leisure attractions within the city including Dubai Media City, Mall of the Emirates, Emirates Golf Club, Knowledge Village and Dubai Internet City. 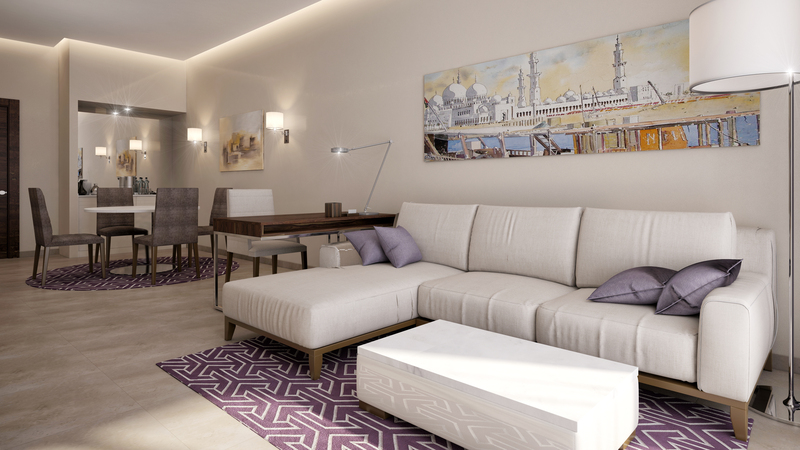 The upscale hotel and apartments will feature a mix of modern hotel suites alongside one and two bedroom apartments, as well as an all-day dining restaurant with a shisha lounge, two specialty restaurants, lobby lounge, health club, spa and swimming pool. As part of the extensive refurbishments, a new specialty restaurant will be incorporated into the hotel’s offerings. The renovated property will also cater towards corporate clientele with over 400 square meters of meeting room facilities. The Mercure Dubai Barsha Heights Hotel Suites & Apartments joins the Mercure brand’s prominent portfolio of 23 properties currently in operation and under development in the Middle East. The Mercure brand combines the strength of an international network of over 740 hotels with the warm hospitality of properties that are deeply rooted in their local communities. Mercure properties present an authentic experience to travellers by deriving their design and décor from the local environment, and are traditionally found across city centres and alongside popular sea-facing destinations. “Through this distinguished rebranding we aim to revitalize an iconic property within the Emirate through the exacting and quality of Mercure’s brand standards. This is reflective of AccorHotels’ commitment to expanding our presence across each market segment in order to accommodate guests’ expectations. With the Mercure Dubai Barsha Heights Hotel Suites & Apartments, we hope to further bridge this gap within the hospitality market especially as the UAE works towards its goal of attracting 20 million visitors by 2020,” concluded Granet. AccorHotels has 38 existing properties in the UAE, in addition to 22 others under development. In the Middle East, AccorHotels currently operates 94 hotels encompassing 28,500 rooms across the luxury to economy segments. The Group’s regional network will double in number, bringing close to 26,800 additional rooms to the Middle East. Mercure is the only midscale hotel brand that combines the strength of an international network with a strong quality commitment and the warm experience of hotels that are rooted in their local community. Mercure hotels are managed by enthusiastic hoteliers and welcome business and leisure travelers across the world. Mercure has over 740 hotels in 55 countries. They are ideally located in city centers, by the sea or in the mountains. AccorHotels Middle East is one of the fastest growing hospitality groups in the Middle East. Currently, the Group’s regional portfolio includes 94 operational hotels representing over 28,500 rooms in ten countries. AccorHotels’ portfolio spans a wide range of world-class brands ranging from luxury and upscale Raffles, Fairmont, Sofitel, Pullman, Swissôtel and Majlis Grand Mercure, to midscale Novotel, Mercure, Adagio and economy ibis and ibis styles. With over 25 years of regional experience, AccorHotels Middle East was the first to establish a training academy. Dubbed as Tamheed – AccorHotels Académie Middle East, the training facility is dedicated to educating and preparing associates at all levels and ensuring optimal career development. Its portfolio comprises internationally acclaimed luxury brands including Raffles, Fairmont, Sofitel Legend, SO Sofitel, Sofitel, onefinestay, MGallery by Sofitel, Pullman and Swissôtel; as well as the popular midscale and boutique brands of Novotel, Mercure, Mama Shelter and Adagio; the in-demand economy brands including ibis, ibis Styles, ibis budget and the regional brands Grand Mercure, The Sebel and hotelF1. With an unmatched collection of brands and a rich history spanning close to five decades, AccorHotels, along with its global team of more than 250,000 dedicated women and men, has a purposeful and heartfelt mission: to make every guest Feel Welcome. Guests enjoy access to one of the world's most rewarding hotel loyalty programs – Le Club AccorHotels.